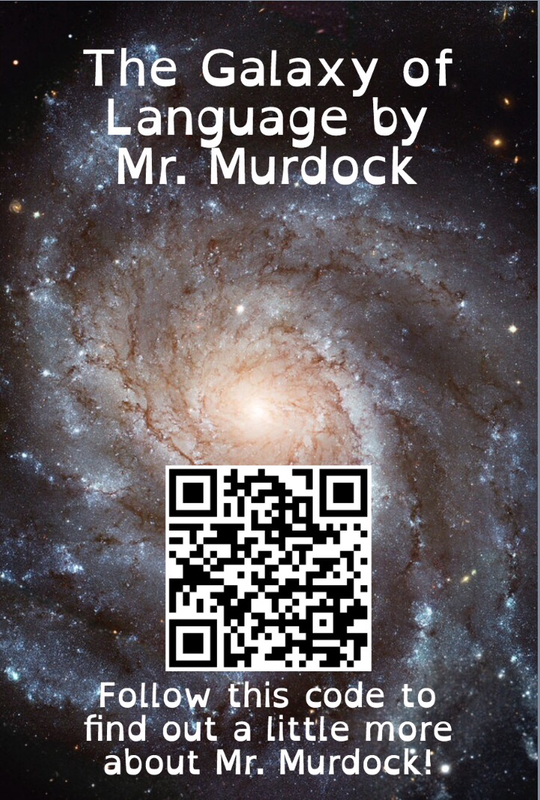 What I've done here is created an iBook called The Galaxy of Language which I will use to show students that Language is a part of everything that we do. In the iBook, each page has an activity or a task that must be completed. This is done by scanning the QR codes that I have custom made for this lesson and for the book itself. QR codes allow students an easy transition as they surf the web trying to complete these tasks. There are a variety of different questions that will be answered and a lot of enjoyable learning that can be taken away from an exercise such as this.